Comment: I would like to get an estimate for installing landscaping my front yard. Comment: 1. We have 3 hydrangeas that were planted too close to the sidewalk, we would like them removed and 3 current azaleas moved to that area plus possibly adding a few more to make a border. 2. We would like to have the front part of our yard a 2'x10' strip of grass removed and a hedge planted. Comment: Much of the project is actually in clearing. I have a large, stone pond/waterfall thing in my back yard that doesn't work and needs to be removed, and I have maybe a dozen small tree stumps on the property that need grinding/removal. The whole front yard was done in gravel years ago and is overgrown now with weeds. I'm considering going back to grass. Also considering adding or replacing trees. Everett Landscaping Companies are rated 4.73 out of 5 based on 906 reviews of 56 pros. 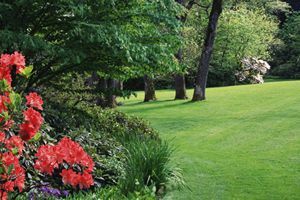 Not Looking for Landscaping Contractors in Everett, WA?